A WW2 medal group attributed to a Mr T. Oddie of Yeadon, Leeds. 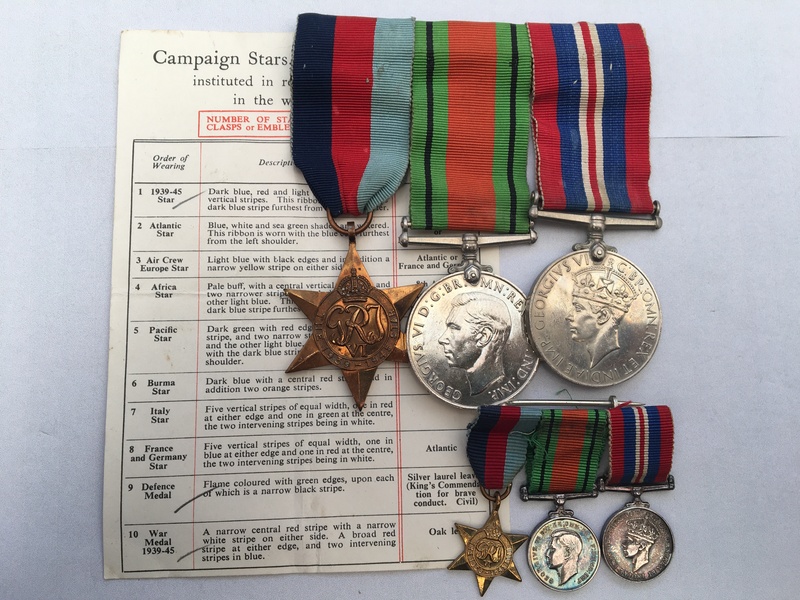 The award of a 1939 Star only, along with the Defence Medal and British War Medal, makes it possible that this individual served only overseas in France in 1939/40 - so potentially a Dunkirk veteran. I have undertaken no further research in regards to this man. 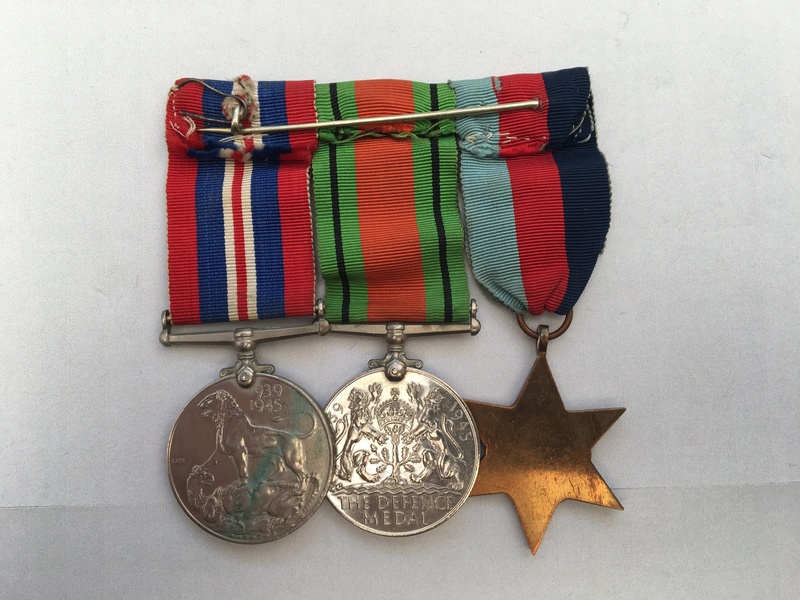 The medals are swing mounted with their original ribbons along with a matching set of contemporary miniature medals that are also swing mounted with original ribbons. The medal award box is issued by the O I/C ROAC records office. 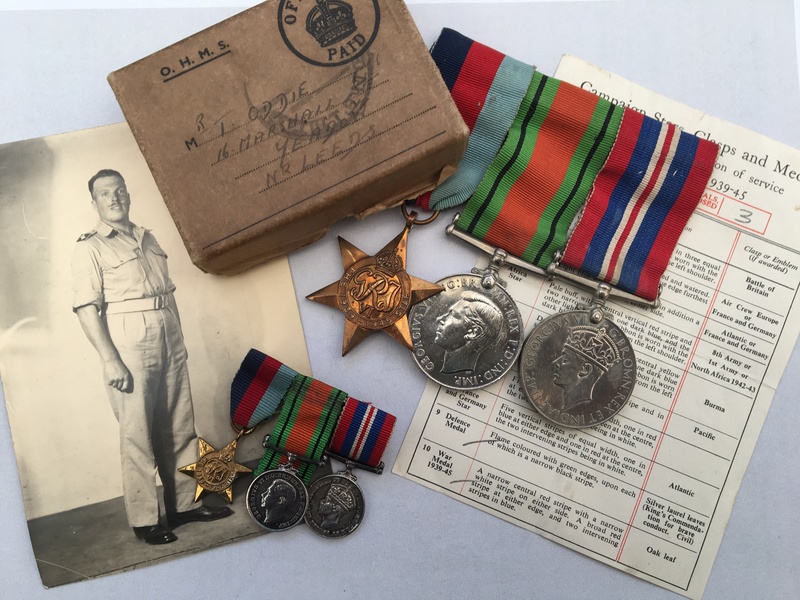 Also included is the Army Council Medal Award Slip noting the three awards and a photograph of Oddie in uniform. The history of the Royal Army Ordnance Corps in WW2 can be viewed by clicking on here.